Pennsylvania Attorney General Josh Shapiro announced corruption charges on Tuesday, 10/13, against a former Philadelphia city representative who served under former Mayor Michael Nutter. 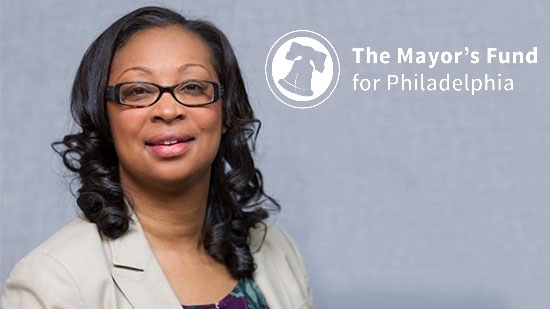 Desiree Peterkin-Bell was hired in 2012 and oversaw the Mayor's Fund, a non-profit agency. She is charged with theft and conflict of interest. The charges are a culmination of a 14-month investigation, following some critical audits of the Mayor's Fund by former Controller Alan Butkovitz. Peterkin-Bell is accused of fraudulently using two city credit cards to make $20,000 in personal purchases, including clothing, hotel rooms, flights, vacations, Uber rides and more. She is also accused of misapplying $225,000 of the fund's money. Around 20 people were injured when a car crashed info a Social Security office in Egg Harbor Township, NJ on Tuesday morning, 11/13. It happened around 9:45 a.m. at 1350 Doughty Road. 56-year-old Donna Woodall of Atlantic City accidentally hit the accelerator while parking and drove straight through an exterior wall and into the lobby of the building. Police, fire, and rescue responded to the scene. Most victims were taken to AtlantiCare Regional Medical Center, Atlantic City Campus. Two were taken to AtlantiCare's Mainland Campus. One person was in critical condition. The building inspector has deemed the building structurally sound. Police in New Jersey are searching for two drivers who were involved in a fatal hit-and-run on I-676 in Camden early on Monday morning, 11/12. 46-year-old Crystal Kelley of Princeton was involved in a crash around 4:45 a.m. Her GMC SUV was left disabled against the median in the left lane of southbound I-676. Kelley and her 13-year-old son climbed over the median and began walking across the northbound lanes of the highway. She was then struck by three different vehicles. The driver of the second vehicle remained at the scene, but the other two kept driving. Kelly was taken to Cooper University Hospital in Camden and pronounced dead. Her son sustained non life-threatening injuries from the first crash but was not hurt crossing the highway. Anyone with information is asked to contact police at 856-933-0662.